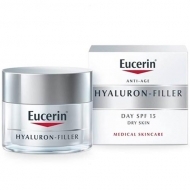 Makes the skin smoother and younger. 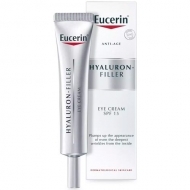 DESCRIPTION: Hyaluron-Filler Concentrate from Eucerin is a concentrated serum to actively reduce wrinkle depth. 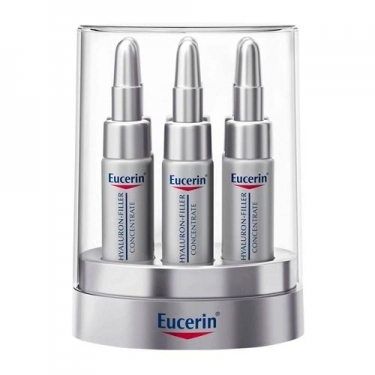 The formula combines Hyaluronic Acid with low and high molecular concentration to treat aged skin that causes wrinkles, and Saponin Glycine bioactive to help the natural production of hyaluronic acid from the skin. 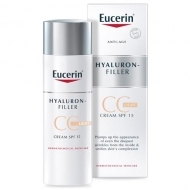 With regular use, the skin becomes smoother and younger looking. 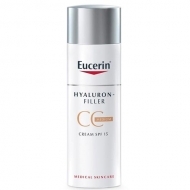 Apply twice a day to clean skin before anti-aging care, with small touches, focusing on problem areas.